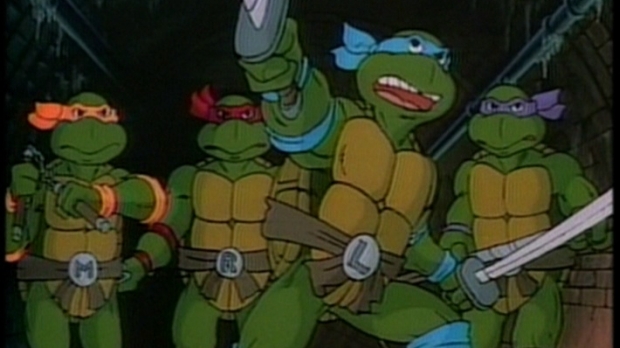 GoNintendo brings us word on a couple of new Teenage Mutant Ninja Turtles games coming to the DS. First, there’s this listing from OFLC for Turtles in Time: Re-shelled for the DSi. A little later in the evening, GoNintendo got the heads up on Teenage Mutant Ninja Turtles: Arcade Attack announced in the latest issue of Nintendo Power. The listing from OFLC might be in error and could really be for Arcade Attack, but either way, I’m so looking forward to Arcade Attack now. The game is sounding like a true TMNT game as it’s going to have a lot of throw backs to the original comics. There will be black and white cutscenes designed to look like the original comics, special moves for each character and pizza and Chinese food (included as an homage to the original comics) for health pickups. Arcade Attack will have eight levels, story, survival, boss battle and time attack modes and two player co-op. Except for the limiting co-op, this is sounding pretty awesome. It sounds better than the recent XBLA release anyway.